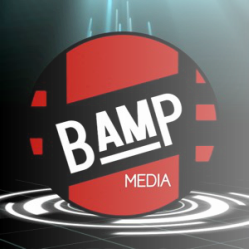 BAMP Media International, in partnership with Microsoft and TVtibi, a free live streaming and on demand video app, changing the way the world experiences art, film, TV and music, by creating a multi-channel, multi-language outlet for worldwide distribution of quality content for artists by artists. BAMP allows people across the globe to see all the incredible unseen works of art produced that never quite made it past Hollywood and main stream media’s velvet rope. It is not what they want us to see. It does not fit the cookie cutter model of what has already been overproduced, regurgitated and done before. BAMP bypasses the velvet rope, by eliminating all limitations of big time distribution deals from companies that cater to a specific demographic, young people with money. Our target market is our world, the one where 40% have internet access with over 3 billion users online, on countless devices. BAMP streams content that people across the globe can relate to. Our multi-channel and multi-cultural content structure, partnered with Microsoft and TVtibi’s global licensing format, BAMP rewrites the book and breaks the mold of distributing content by giving independent artists & producers a chance, so their vision can be seen by the billions of people with internet access, in their language, on their time, with customized LIVE TV and ON DEMAND options providing content for viewers in their world. There are too many amazing films, shows, and music that are produced but are never seen because it is art “OUTSIDE” the box. At BAMP, there is no box. We jumped out of the box and threw it away. BAMP gives quality productions access to worldwide distribution, through our channels, and creating a new generation of creative minds creating outside the box. A culture that embraces “thinking differently” allowing independent artists and producers to get paid for the art they create. All content is screened and approved by industry professionals. Content is rated by our viewers, for a custom viewing appetite. Partnering with Microsoft and our expanding network of global advertisers, we use a realistic compensation structure for independent artists and production companies, by sharing advertising revenue while their content streams on our channels. Our advertisers provide ad content relevant to each country it is streamed in. Don’t want commercials? We can do that, for a small fee. This model provides a unique blend, where everyone involved gets their piece of the pie.